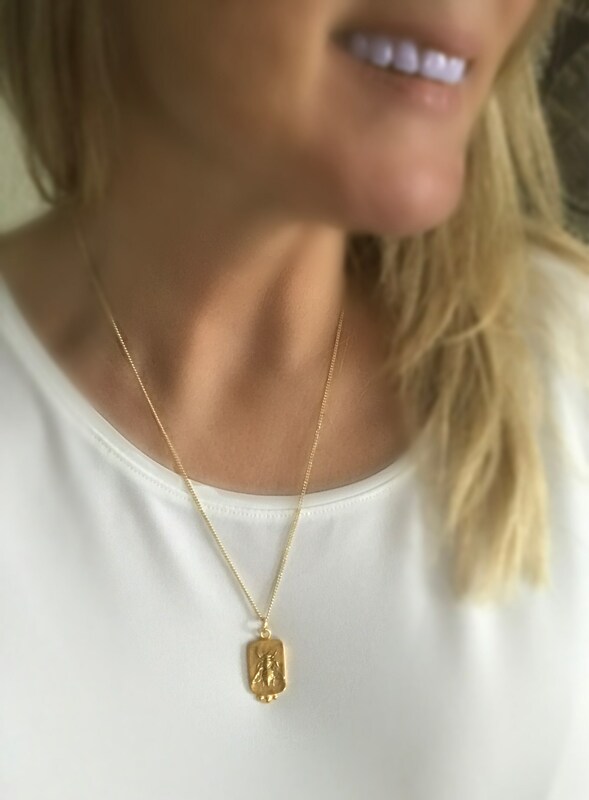 ♥ - 18k High Quality Gold Plated Chain, 20". 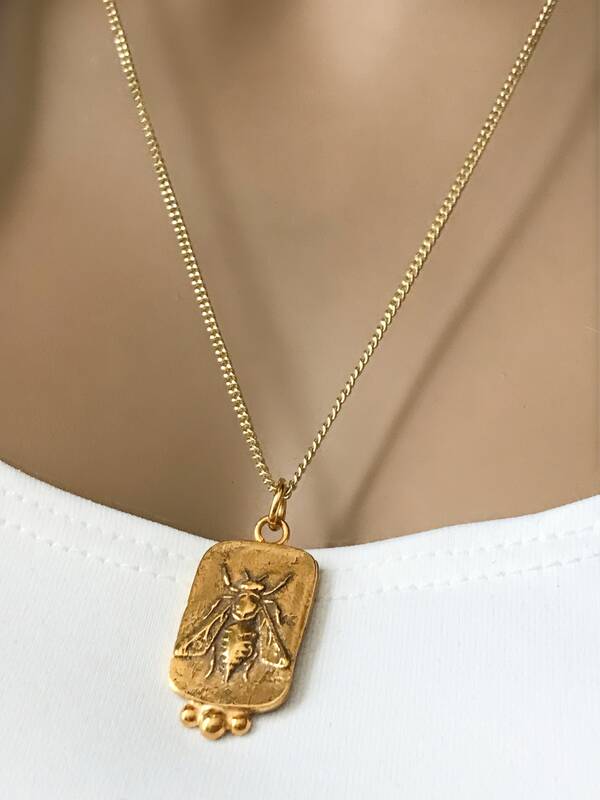 ♥ - 24k Gold Plated Bronze Bee Pendant, Approx 1". 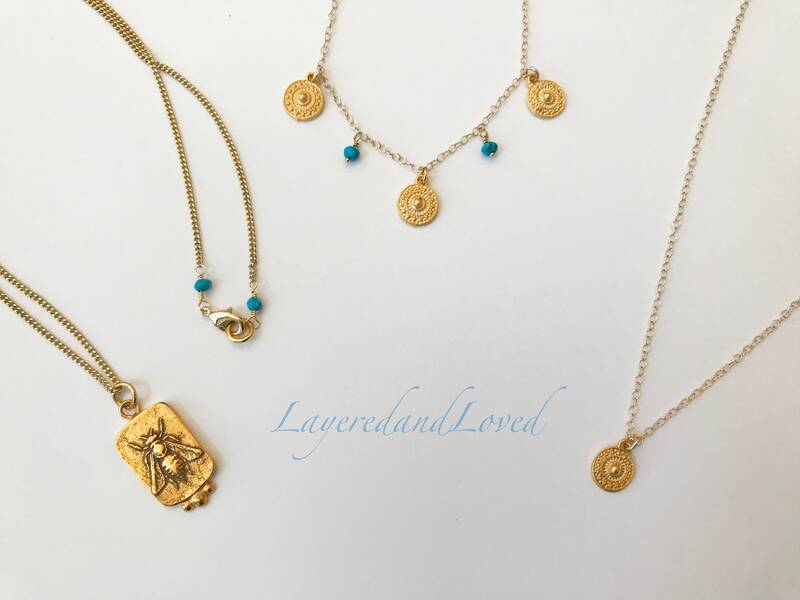 ♥ - Beautiful Victorian Design. 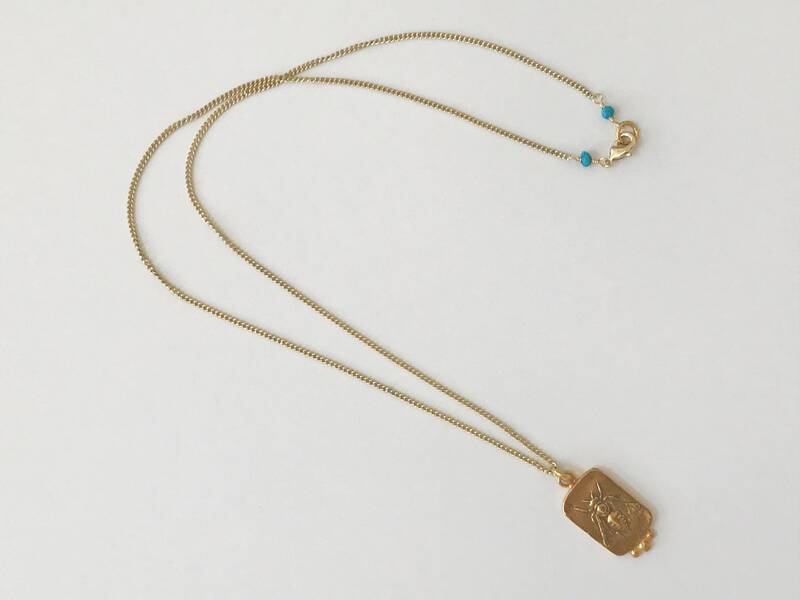 ♥ - This lovely bee pendant necklace is finish with wired turquoise stone beads and a lobster clasp closure. 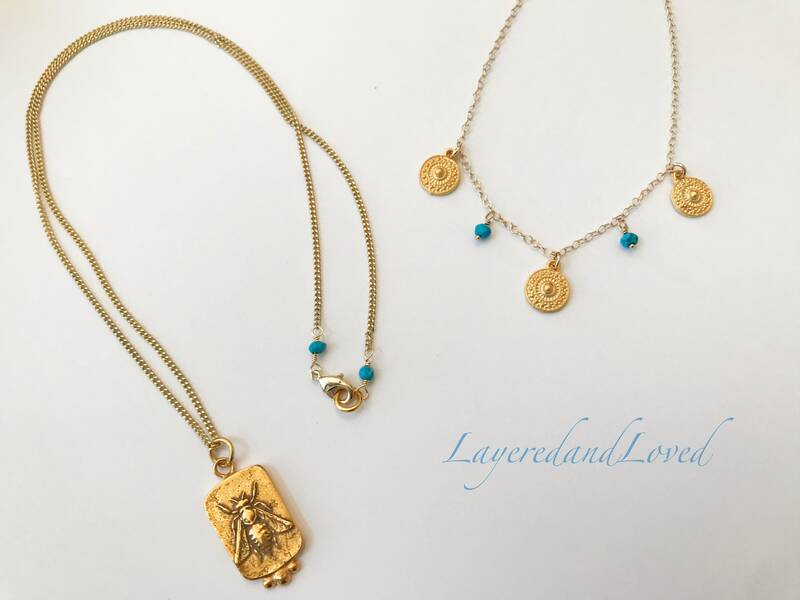 Perfect length to wear with a choker. 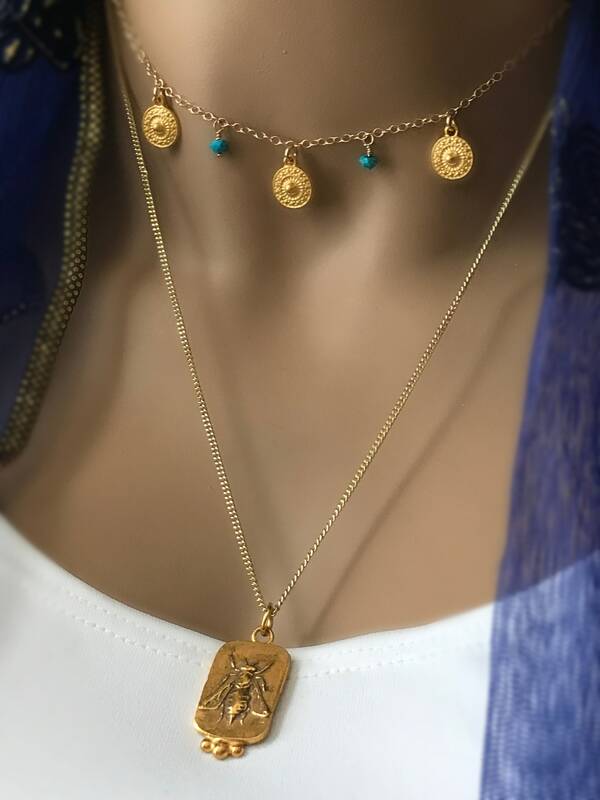 The pendant looks like a vintage victorian style. 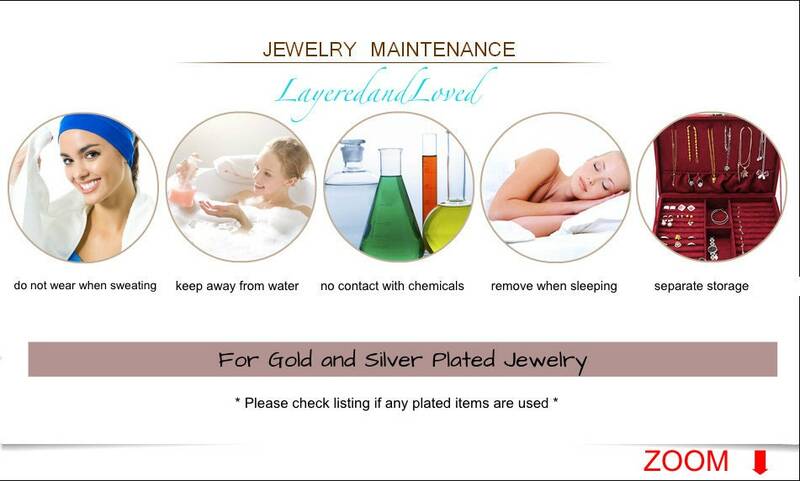 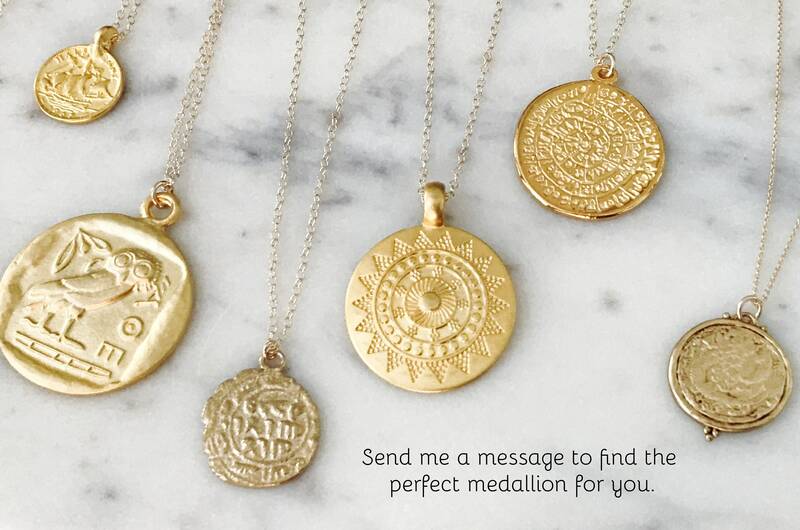 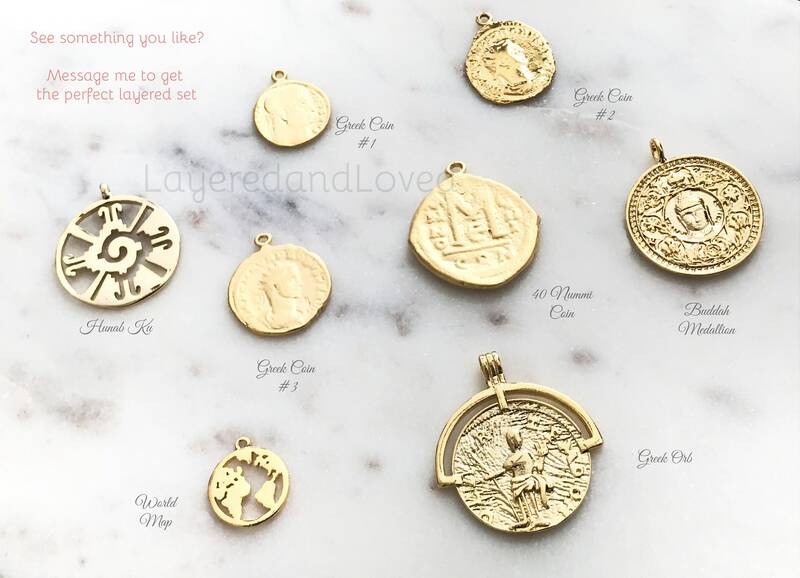 𝓒 ~ There is a photo on plated jewelry care regarding any plated items listed.